The latest HSBC Expat Explorer Survey certainly paints a positive picture of life as an expat. Expats say that the move has given them a more positive outlook in life (41%), a better overall quality of life (52%) and a better work/life balance (53%). Financially it is rewarding, with US$99,900 reported as the average expat income up 25% over their earnings at home. 14% even indicate that they have doubled their income since moving abroad. Where you work has a major impact, with expats in Switzerland topping the rankings for annual gross personal income at US$193,006, followed by India ($176,408) and China ($170,970). Saudi Arabia (58%) gives the largest increase in expat income on moving abroad followed by Switzerland (54%) and the UAE (50%). This translates into a financial uplift, with 52% of expats saying that they can save more than they did at home and 57% saying that they have more disposable income than they did before they moved. The countries which top the list for expat income, such as Saudi Arabia (73%). Switzerland also have good results with 72% saying that they have higher disposable income and they top the Economics rankings overall. Although very positive overall there are concerns, with expats perceiving economic (31%) and political (29%) uncertainty globally as their greatest concerns. The economic (29%) and political climate (27%) in their host country is only slightly behind these concerns. Local/regional issues such as concerns about tax increases in the Middle East can also impact where concern over this issue is much higher than the global average of 23%: UAE (44%), Saudi Arabia (44%), Bahrain (39%), Qatar (32%). The HSBC Expat Explorer Survey also points to the time spent as an expat as a factor with short-term expats more likely to have most of their wealth in their home country. Serial expats are more likely to be invested in both their home and host country and are also more likely to have a global banking relationship as well as a local one. Property ownership by expats is growing, with 62% of expats owning property somewhere in the world and 9% owning property in both their home and host countries. British expats are one of the biggest owners of property with 75% of them owning property (against 64% of the adult population back in the UK). 37% of expats own property in the country they live in and 32% own property in their home country. The survey reveals that the motivation for buying varies depending on where the expats come from. Expats from the UK (54%), Australia (54%), and France (49%) retain and rent out their property in their home country, whereas expats from India (37%) and China (42%) say that friends and family live in the property. Buying property in the expats’ host country is motivated by a range of reason: buying to avoid paying rent (38%), because they intend to live for three or more years (38%) and as an investment (30%). Whilst financial prospects are a motivation to take up the expat life, there are many other reasons cited by expats. 22% indicate that they moved abroad to improve their earnings and 26% did so to improve their job prospects. Personal goals are cited by a higher proportion. 38% moved for a new challenge, 34% moved to improve their quality of life. Settling in seems to be generally positive with 56% saying they took less than a year to settle in and 20% saying they felt at home almost immediately. Only 15% of expats are considering leaving their new home early. More than half (53%) of expats believe that life as a expats affords a work/life balance which is better than in their home country and 52% feel that their overall quality of life is better. 40% feel happier since their move abroad. The attractions of the life are clear with 42% saying they take more holiday than they did at home, 39% live in a better property and 25% drive a better car. 44% of expats are more active in their host country and 36% report an improvement in their physical health. The impact on the family is also positive. 24% of expat parents found that the confidence and self-reliance of their children has improved tanks to the move. This increases as the time as an expat increases with61% of serial expat children considered more open to new experiences and cultures compared with 50% of short tenure first-timers. Attendance of an international school also has an impact with 65% of parents of these children believing that their children are more open to new experiences and cultures against 55% of those attending other types of school. Making friends is not without its issues though and the issue increases as children get older. 41% of expats parents with children 11 or older say they found making new friends difficult, against 26% of those with children 4 and under. The cost is another factor, with 58% of expat parents indicating that they have seen a higher cost of raising children in their host country than at home. Only 4% say that it would have been better to leave them in their home country. Having become an expat, repatriation is not on the radar for many with only 23% of those surveyed having been through a repatriation process. Just 4% have returned home, mainly for financial reasons. The most common motivation is for personal or family reasons (32%). 28% returned because their secondment ended and 20% for career progression. The experience of returning home is not always trouble-free with 81% experiencing at least one issue. Many (53%) say they missed their life as an expat. 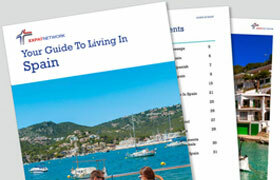 Finances are an issue for some expats with 29% of those returning home finding the higher cost of living a challenge.